The Thayeri kingsnake (Lampropeltis mexicana thayeri), also known as the Nuevo Leon kingsnake and the Variable Kingsnake is a nonvenomous snake belonging to the family Colubridae. 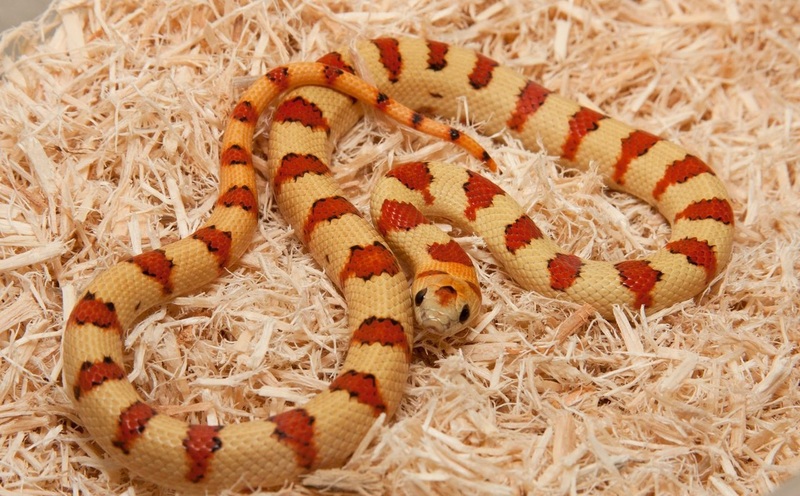 The Thayeri kingsnake is found on the eastern slopes of the Mexican plateaus in Tamaulipas, Mexico. The Thayer's kingsnake is known for producing offspring displaying three main variable phases within the same clutch from similar coloured patterned parents. Thayeru Kingsnakes grow up to 3 feet (1m) in length so are a relatively small species of kingsnake most of which generally grow to about 4-5 (1.2 – 1.5m) feet in length. The behaviour of the Thayeri kingsnake is similar to many of the other kingsnake species, the Thayeri kingsnake is usually a non-aggressive and particularly reclusive Kingsnake and requires a hiding place at all times and often prefers to hide in such. The Thayeri kingsnake as with most colubrids, kills its prey by constriction and prefers a diet of lizards in the wild although they have been known to feed on rodents, frogs, and fellow snakes. In captivity Thayeri kingsnakes can be weaned onto rodents as their main food source. Click HERE for a Thayeri Kingsnake care sheet.